Protesters in Kiev, Ukraine recently received an ominous text message based on their proximity to the ongoing demonstrations in the center of the city. It’s easy to feel like technology is helping citizens organize and protest against the government until you receive a targeted text message reminding you that the government is watching your every move. 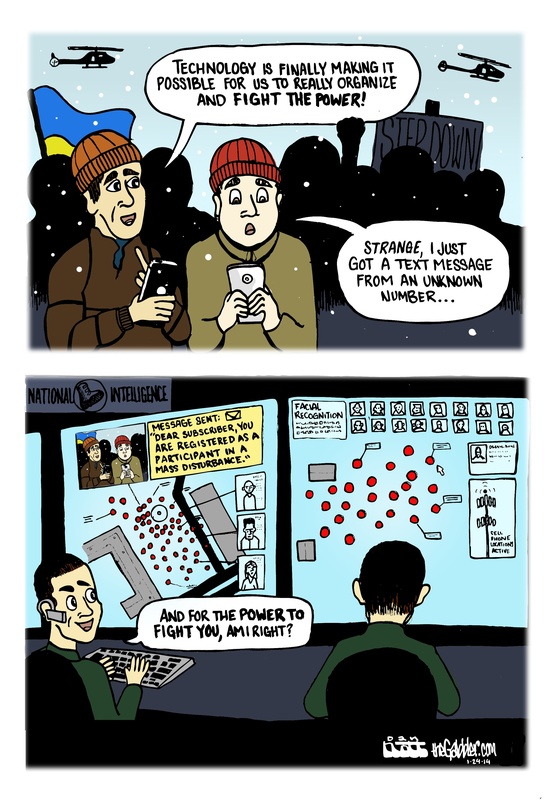 While this cartoon is inspired by the events in Ukraine, it can be applied much more generally to protest and dissent in any country, as mass surveillance technologies like facial recognition continue to develop and become ubiquitous.